This recipe was the first thing I ever found on Pinterest, and I was hooked from that point forward. 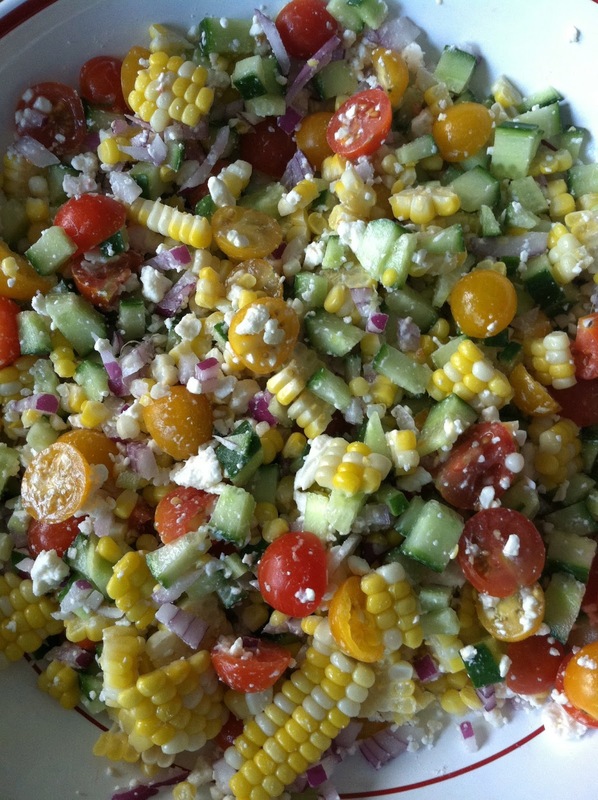 Summertime means lots of salads, but this is one of my very favorites. It makes a bunch, so throw it together and bring over to a friend’s house. Especially if that friend has a pool. 1. 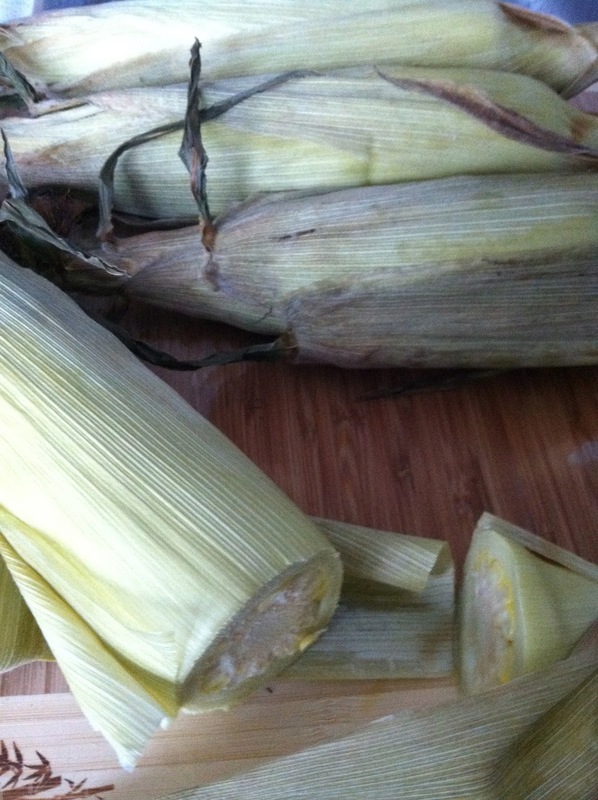 Cook your corn – there are a ton of ways to do this, but the easiest is just to put the oven on 350, and throw the corn in, husks and all. 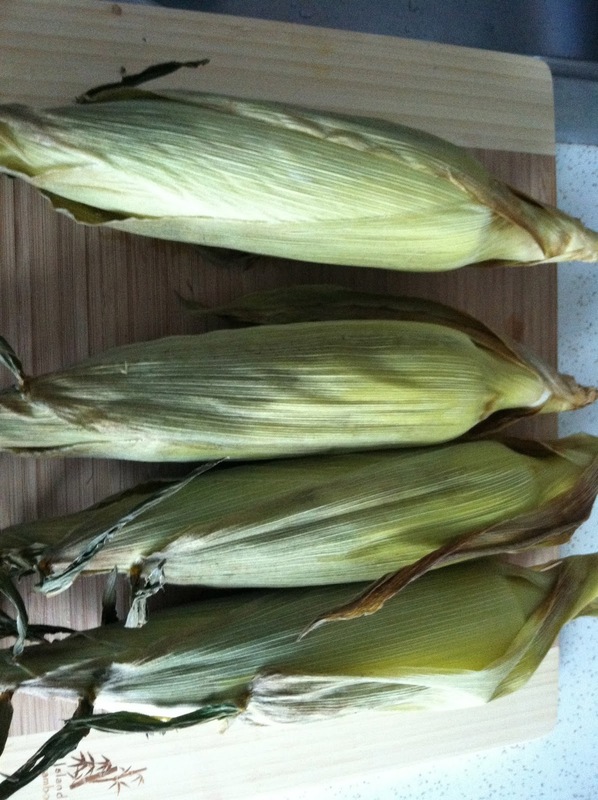 Bake them for 25 minutes, let it cool, and then cut off the very bottom of the corn. You should be able to easily pull off the husks and the silk. 2. 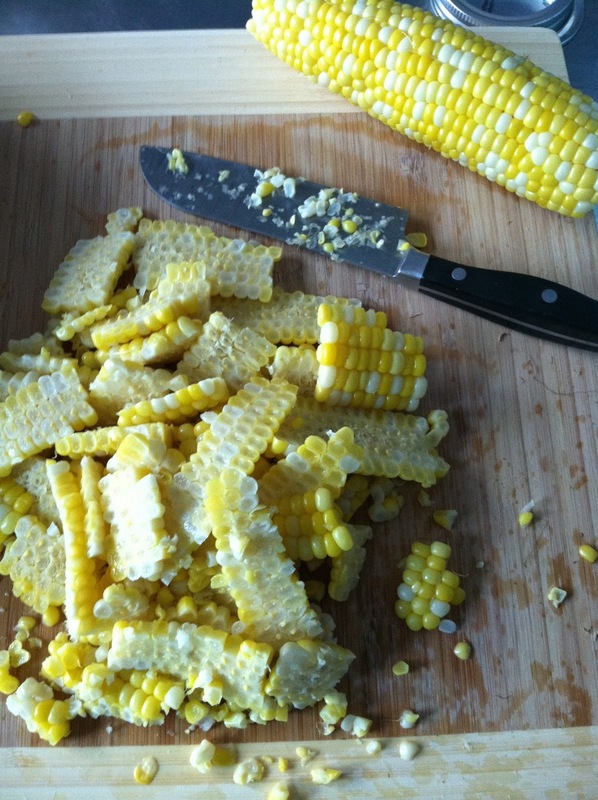 Cut off the kernels with a large knife (I love this one, it’s inexpensive and it holds up well), add to a big bowl. 3. Chop the avocados, cherry tomatoes, english cucumber, and red onion, then add to the bowl. Add the feta. 4. 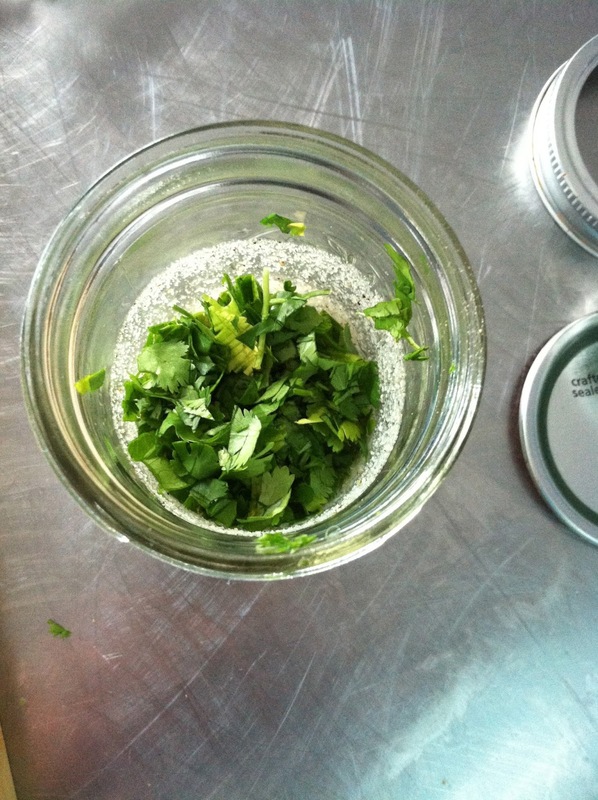 For the vinaigrette, combine the first 5 ingredients (so the seasonings react with the vinegar), then add the cilantro and the EVOO. Shake it up. 5. Gently mix all the salad ingredients together. When ready to serve, add the dressing and stir to combine. — I’ve really been working on staying present lately, and focusing on all the amazing things and people in my life. Days like this, it’s easy. I love my friends. 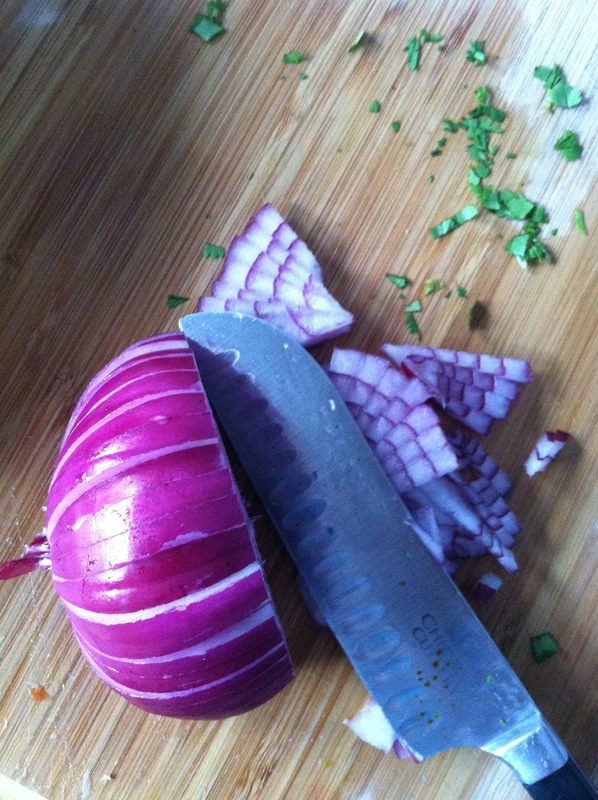 This entry was posted in gluten-free, salad, summer, vegetarian on June 15, 2013 by westyn. 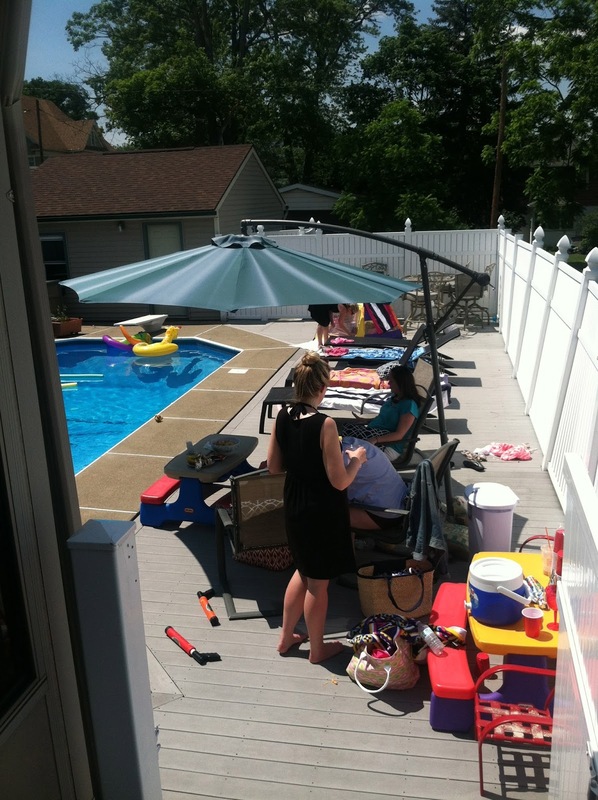 So glad this one is finally on the blog– got it bookmarked just in time for summer!! do you think basil would work as a sub for cilantro? Cilantro might hold up better, but I think basil would work? Let me know if you try it! Hello – I found this recipe on Pinterest and made it for dinner tonight. Absolutely delicious! Very light and the flavor combination is terrific. I actually added quinoa for additional protein and it worked well. Will definitely make this again. Thanks! How much quinoa did you add for the recipe? Quinoa in this sounds fantastic – so glad you liked it! Is there a sub for white wine vinegar? In my opinion, red wine vinegar can usually be used as a sub for white wine vinegar. The flavor is not that significantly different (I don’t notice it in most recipes.) Some people just prefer white because it doesn’t add unwanted color to the dish or salad. I used red wine vinegar tonight and it was just fine! Sounds good except I have no idea what EVOO is. Can you enlighten me? Hi CaseyLynn – like cwyounts said, red wine should work. Or, if you want a little more citrus, you can sub 1 tbsp. white wine for 1 tbsp. lime juice. Or just double up on the rice wine for 2 tbsps. total. Glad you guys are enjoying this! 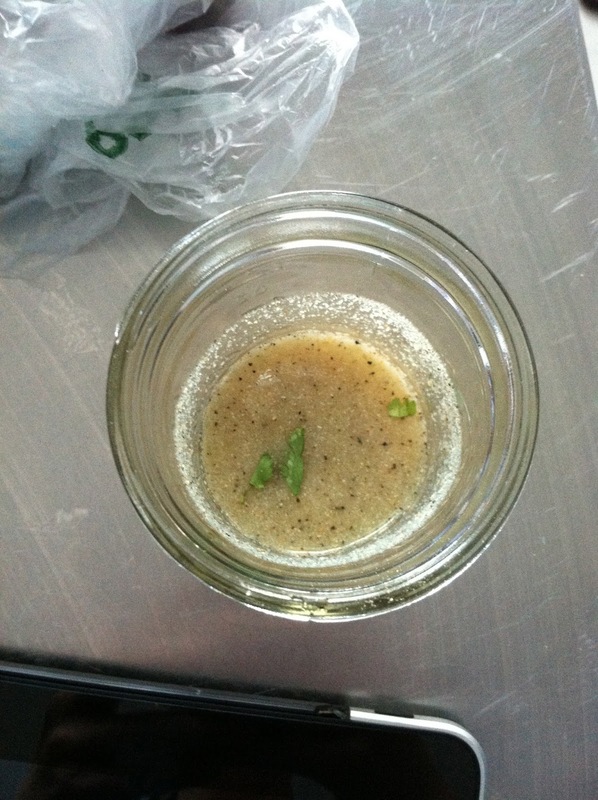 if i didn’t have ingredients to make vinaigrette..do you have a store-bought brand that might work? I’ve never used a store-bought dressing for this salad, so I don’t have any suggestions, but I would really recommend making the dressing yourself if you can. Dressings are super simple to make, and have been a game-changer for me with salads and marinades. Whatever dressing you end up using, though, I’d add a handful of chopped cilantro to it. 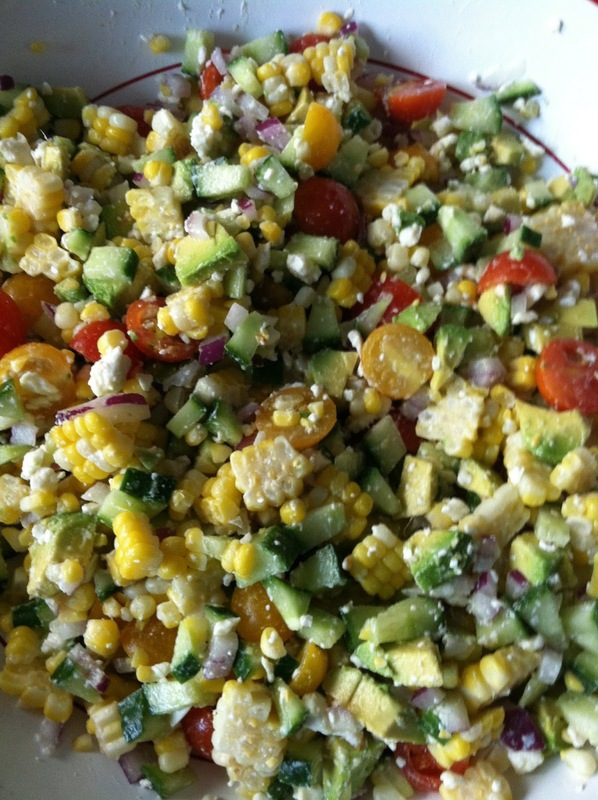 I just made this for a summer bbq – added chopped romaine and doubled the dressing recipe – i took a quick taste and YUM! Queso Fresco might work in place of feta to make it super southwest flavored. Thanks for sharing!! What is the serving size? 1 cup? 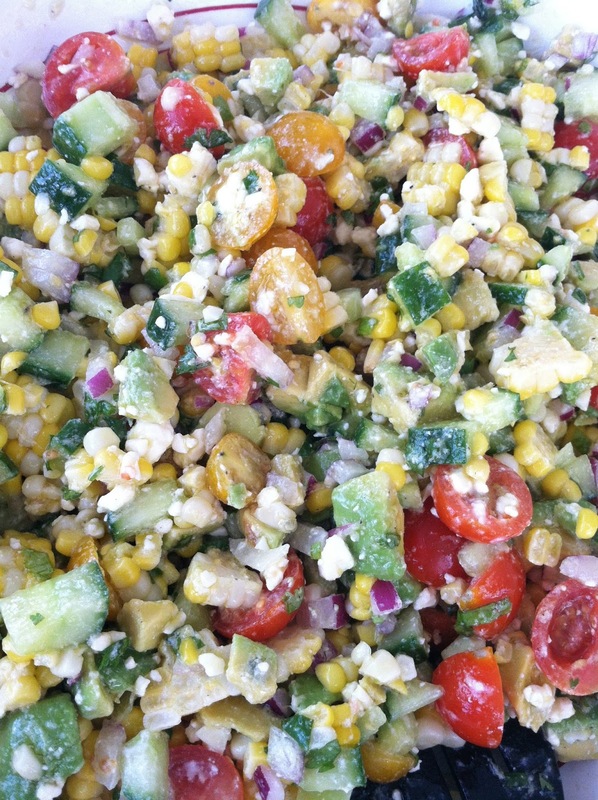 I tried this salad at the bigging of summer and I have made it no less that 10 times. I love it. It’s great with scoops. So glad you hear you’ve all liked it so much – this is a summer staple for me, too. Not sure about serving size per person, but 1 C sounds about right. Happy end of summer, everyone! WOW! This is really an amazing and attractive post about fine recipe of salad. I appreciate your posted wonderful photos. Thanks for sharing such an interesting post. I’m making this tonight 🙂 Really excited! Hope you like it as much as my friends and I do – this is a go-to summer staple for me! Is this a salad that should be served immediately after adding the dressing, or should it marinate a while? Hi Tiffany – I’d serve it right after dressing it, but everything holds up pretty well in the dressing for a while. Hope you like it! Anyone figure out the nutrition specs on this? 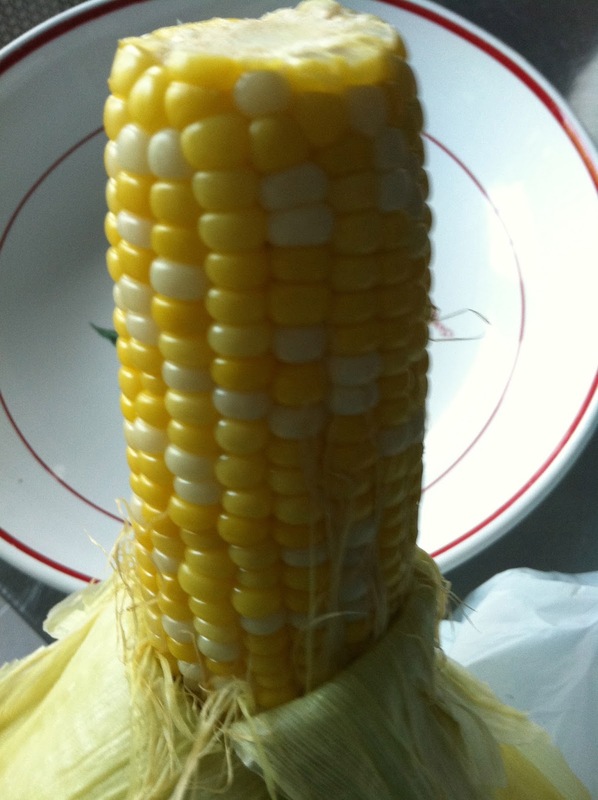 I made it with raw corn. Really great recipe. thanks! Think I could substitute something for the rice wine vinegar? Hi Em – I would double up the white wine vinegar, or substitute the rice wine vinegar with champagne vinegar. Hope you like it! This was fantastic! 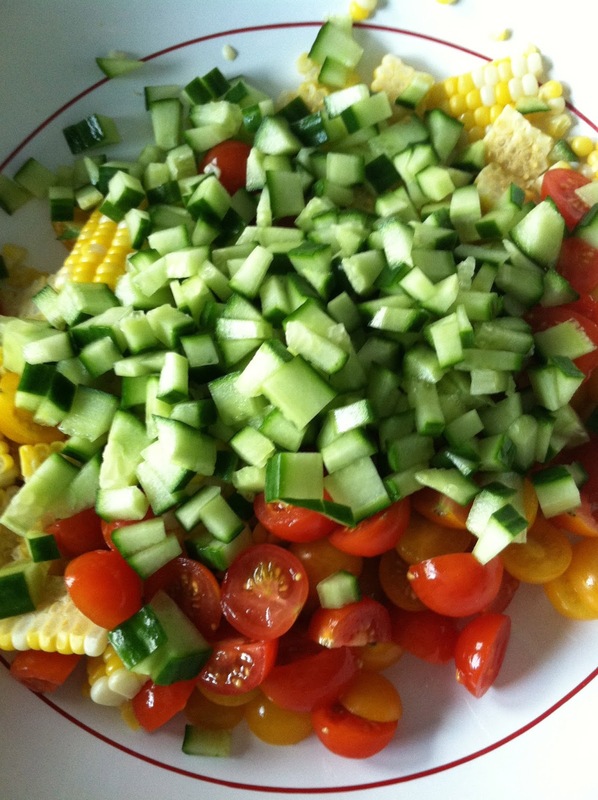 The perfect summer veggie salad. I was nervous about the cilantro vinaigrette because cilantro has never been my favorite, but oh my goodness, was this dish fantastic! 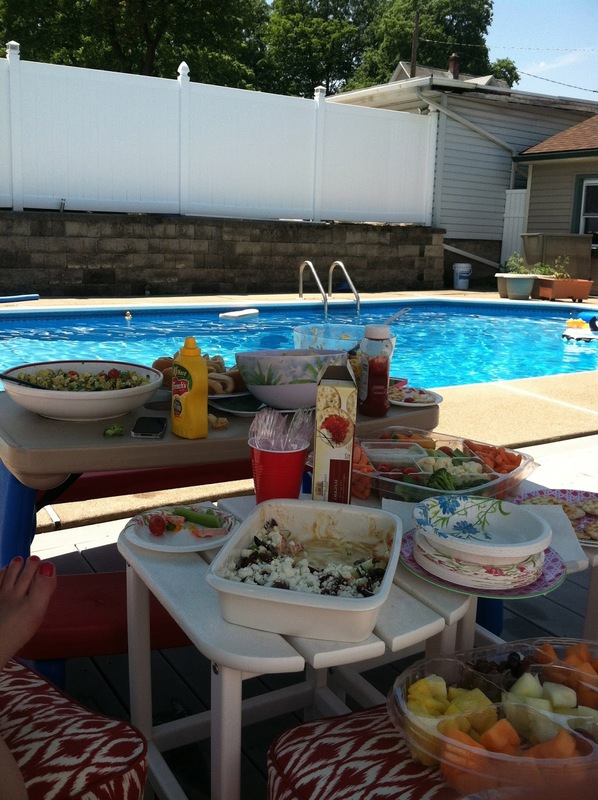 This will be a staple at all my future barbecues and summer get-together’s. Hi Lauryn – thanks for the comment! So glad you loved it. It’s a staple at my BBQs, too!